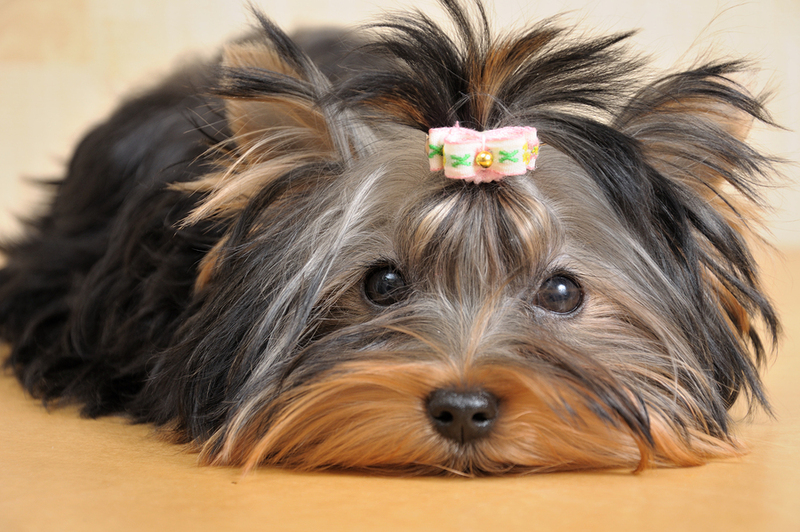 Small breed dogs are ideal for owners in a variety of living situations. For example, tiny dogs do better in small apartments than larger breeds.Toy dog breeds are extremely popular companion dogs. Many small dog breeds were once the prize possessions of members of the ruling class, and some are a scaled down version of another breed. Bred as house pets, they have served as companions for hundreds, even thousands of years. As man's best friend, many small dogs were bred to be companion animals and are very loyal. 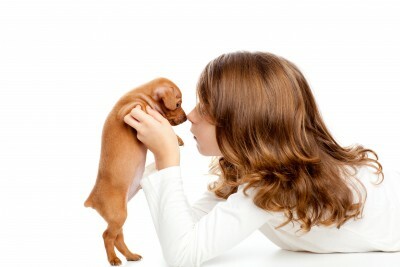 Like other pets, small dogs have basic needs that are the responsibility of their owner. Caring for small dogs requires an owner to pay attention to the dog's health, their happiness, and their well-being. While dog ownership is a big commitment, it is very rewarding! Not all dogs are created equal and some breeds will be more suitable for your household than others. The first thing you should do once you've identified the breeds you like is to carry out a little research on their care needs, temperament and likely health issues. Don't be scared off by potential health problems - you will find long lists of ailments which can befall particular breeds but your dog may never suffer from any of them. Use them as a guide to what could happen in the future. Provided you are financially and emotionally capable of dealing with illness, you will be fine. If you can purchase pet insurance, do so at an early stage. When you are certain that you want to go ahead and buy a small dog, check out breeders in your area. Research the unique characteristics of your pet's breed. We use the term ‘small dog’ to refer to dogs that are typically less than eighteen inches tall and weigh less than twenty pounds. 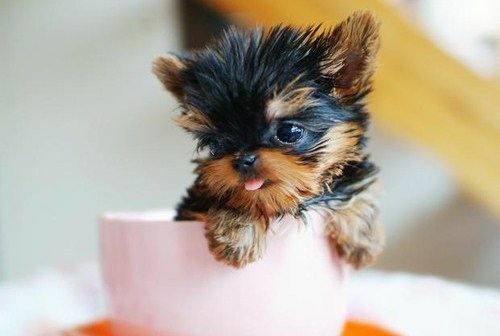 This includes toy, miniature, and small breeds like Yorkshire Terriers, Chihuahuas, Miniature Poodles, and Miniature Pinschers. Each breed has their own temperament, appearance, characteristics, and needs. Feed on a regular schedule. It is important to feed your dog on a regular schedule to maintain consistency and to establish a routine. The amount of food your dog will need to consume each day will depend on their age, size, and activity level. Incorporate training into your feeding schedule by having your dog practice certain obedience commands before you let them eat. Avoid feeding small dogs human food. It can be very tempting to share bits of your meal or to give human food to your pet as a treat. However, there are a number of foods that are very harmful to dogs. Feeding your dog human food also encourages negative behaviors, such as begging or bothering people when they are eating. Always provide access to clean water. Along with food, dogs need water to stay healthy. Always leave a bowl of clean and fresh water for your dog to enjoy. Provide a comfortable place to sleep. Whether you decide to crate train your dog or have them sleep in their own dog bed, your dog wants to feel safe when they sleep. 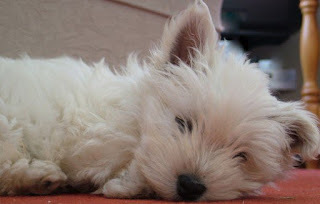 Small dogs sleep an average of twelve to fourteen hours a day as adults, and puppies will sleep even more. Schedule routine veterinarian visits. Like humans, dogs need routine medical care to stay healthy. Different small breeds are at higher or lower risks for certain conditions than other breeds. Spay or neuter your dog. Unless you are planning to breed your dog, neutering or spaying your dog has health benefits and can improve temperament. On average, dogs that are spayed or neutered live up to two year longer than dogs that have not undergone these procedures. Vaccinate your dog. Your veterinarian will administer vaccinations to your dog, and the number of vaccinations that your dog needs will depend on their age and the area that you live in. Exercise frequently. Some small dog breeds have more energy than others, though all small dogs need to exercise to stay healthy. Their exercise needs will depend on your dog’s age, their health, and their breed. Provide mental stimulation. Much like physical exercise, small dogs need to exercise their brains to stay stimulated and engaged. Dogs that are not stimulated often exhibit destructive behaviors, like chewing on furniture and digging, because they are bored. Train your dog. Many small dog breeds have stubborn and independent temperaments that can make training difficult. However, small dogs need to be trained to follow basic obedience commands and to walk on leashes.